B had a NDE or a near NDE experience. He had been praying for guidance. He had a date to be baptized and he wanted to make sure he was making the correct decision. He went to sleep and was awoken by an Angel next to his bed. Read More. A son wrote an account of what his father told him about his near death experience. He sent it to me. The father has since passed away. The NDE was not complicated and followed the theme of many other NDEs, but I record it here to demonstrate how there must have been more people who have had life-changing spiritual episodes; those who didn’t write about their near death experience, didn’t proselytize it to others, and generally didn’t share their journey to the other side, except within a small family circle. Read More. Ademir then extracts a passage on death from the book. Read the entire article here. If you would like to explore more about other people’s near death experiences and what the spirit world communicates to them and why, read my book, What Really Happens During Near Death Experiences. William H had an NDE in 2003 and he found himself in surrounded by beings made of light, who could communicate by thought. What does this mean to us and how it should change your thinking is explained. David G. had an After Death Communication (ADC) experience which illustrates how the Spirit World communicates with us and the power they have to speak directly to our minds. I take the reader through David’s experiences and relate what the Spirit world is actually doing. Read More. 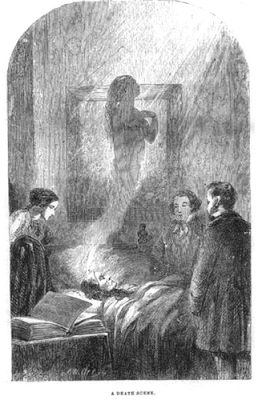 Go to the NDE – Spiritism page, where there are more NDE stories interpreted by Spiritism. Many people who have had NDE’s report that they are judged in their conduct here on earth. Experiences that are replayed to them in the smallest detail. 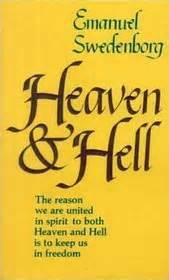 Swedenborg, who wrote eight books about the spirit world, was a witness to many trials. The article illustrates a few examples. Read More. Lawrence, after reading about Jesus’ last night at the Garden of Gethsemane, spent hours trying to imagine how Jesus felt. The certainty of the upcoming crucifixion. His abandonment by all of his disciples. All of this pushed Lawrence to an emotional state, where one night the spirit realm took him on a journey that would change his outlook and life forever. A peek at the fundamental building blocks of the universe, a treasure trove of knowledge, and a lesson in humility – transformed him. And led him to try to explain exactly who and what we are. Read More. Watch my YouTube video which surveys the primary lessons people derived from their near death experiences and how Spiritism has revealed the belief in the spirit universe, reincarnation, immortality, and our purpose of our life on Earth. Spiritism explains what they saw, heard, and felt and why they were given a time-out to journey back to their real home to receive advice and then sent back. Click here to watch the YouTube video. Click here to buy my book – The Spirit World Talks to Us.